Note - The November Quimper Grange Square Dance and Social is on the 4th Saturday (Thanksgiving weekend) this month! Come on up to the Grange on Saturday, November 25th at 8 PM for a Thanksgiving weekend square dance with local caller Dave Thielk and The Pumpkin Ramblers. Dave will be calling a nice mixture of squares, circles, mixers and a reel or two. 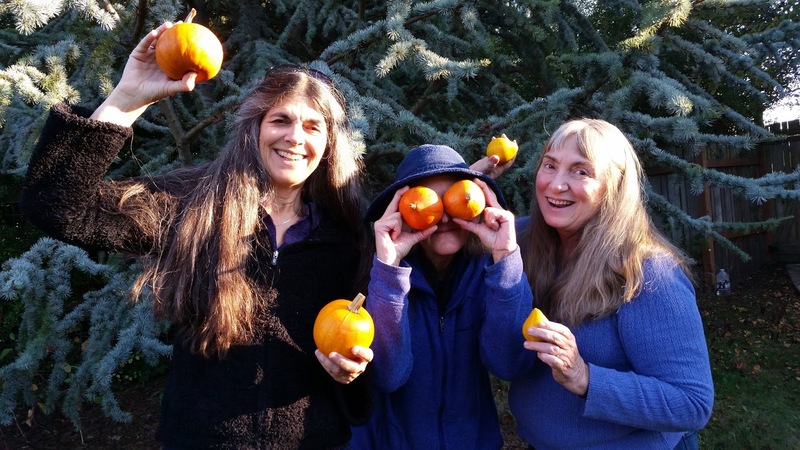 The Pumpkin Ramblers are an auspicious local ensemble that have come together just for this event, and include Becky Evasick (who also led the jam this month) on fiddle, Katya Kirsch on banjo and Sheila Long on guitar. Becky is known for her hard driving rock an roll dance tunes. Katya and Sheila will be laying down the back up. Collectively, these three have close to 100 years of dance tune experience!